Nothing, not even a paperwhite eBook reader, will beat the smell of a brand new book, or thumbing through the untarnished pages. However, in the battle of functionality, the eBook reader will win by a country mile. This revolutionary new piece of technology is taking the market by storm, enabling you to benefit from a traditional book-like experience but with so many more features. You can turn pages at the touch of a button, enjoy a glare-free experience, and enjoy a backlit screen on specific models too. You also get to browse the internet to download new books, before reading them in a way that’s still the same as a real book. Nothing will ever replace the traditional novel, but the Ebook reader is winning hearts throughout the world. See if you like any of these below. There’s no denying that this paperwhite Ebook reader – Oasis model – from Amazon is a market leader, but it might have been released too early. It has far too many kinks to iron out before users will be comfortable using it as their primary source of reading. Firstly, we will cover the good points. The screen is a decent seven-inch size, while the high resolution 300 PPI display makes it far easier on the eye to read books and check out cover artwork. It’s also WiFi compatible, connecting seamlessly to your router at home. 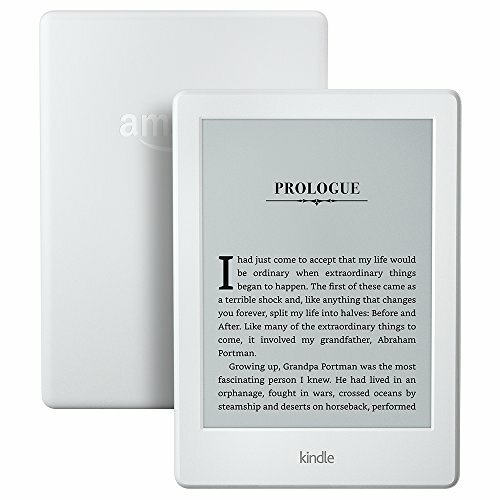 Unlike other paperwhite Ebook readers on the market, this one has dedicated buttons for page turning instead of tapping the screen. However, they lag terribly, and you can find yourself several pages ahead because you didn’t think you hit the button accurately the first time. The battery lasts a long time so you can spend a lot of time reading, and you can read near water as well. The matte finish also enables you to see far better than a gloss screen, with an adaptive front light to help too. As you can see, this paperwhite Ebook reader is leagues ahead of its competition, but it still has a way to go. Even though it’s waterproof, you may not like using it around water. When a few droplets of rain hit the screen, the reader thinks you’ve touched it and does unusual things to the screen as a result. The buttons for page turning are also easy to press when you don’t mean to, and the ad pop-ups ruin your reading experience too. You may enjoy how many good things this paperwhite Ebook reader has to offer, but the few negatives could be enough to send you to another brand or model. Even though this paperwhite Ebook reader is far more expensive than a traditional book, and also another E-reader model, it’s still going to become a firm favorite in your household for many reasons. It may also cause you to put your paperback down and invite technology into your home! As a 4G LTE paperwhite Ebook reader, it has all the technological advancements you know and love. It will also link seamlessly to your internet router, enabling you to buy and browse books to your heart’s content. However, that’s not all this paperwhite Ebook reader has to offer. It comes with a paperwhite display that makes reading a book on the 300 PPI display screen easier than ever before. It has no glossy finish, no glare, and has a built-in and adjustable light to read in low lit conditions. What’s more, instead of lasting only a few hours like many new electronic devices, this paperwhite Ebook reader can last for days or weeks. It’s also comfortable to hold and is easy on your eyes. It might not have the most affordable price tag, but its long list of convenient features will see you want to treat yourself in no time. If you want an affordable paperwhite Ebook reader that does everything a traditional reader does, but without the high price tag, then this version from Amazon is an excellent option. 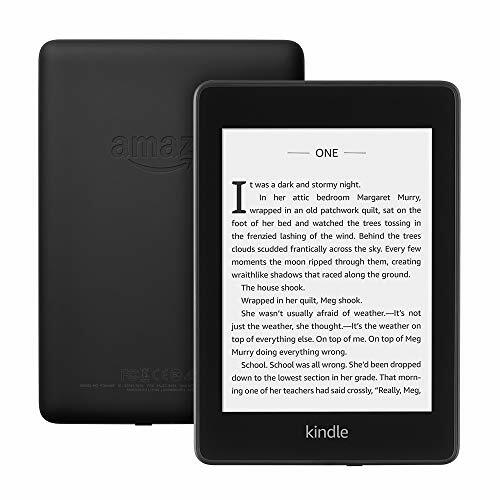 Known as the Amazon Kindle E-Reader, it’s one of the most popular E-readers on the market for the book lovers around the world. You can buy it in black or white, enjoy the six-inch screen, and purchase it with or without Kindle Unlimited. Kindle Unlimited gives you access to a range of titles that may take your fancy. However, there’s more to this paperwhite Ebook reader than meets the eye. You can connect it to your WiFi router with minimal effort, then browse the various books online to your heart’s content. It also has a user-friendly touchscreen display and is glare-free to make reading more comfortable on the eye. 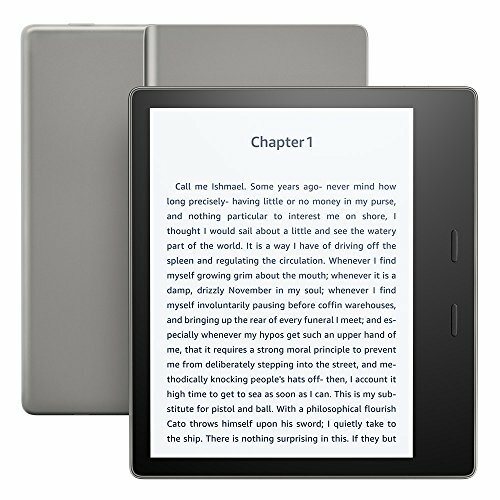 This paperwhite Ebook reader is suitable for adults and children but does have a few drawbacks. The library is not user-friendly, the page turning feature is clunky, and it doesn’t have a built-in light either. The plastic casing also feels cheap, not giving you much confidence if you drop it. Even though this is an older model paperwhite Ebook reader, that doesn’t mean it’s not worthy of your time. It’s still packed full of features to make sure you have the most beneficial reading experience possible. 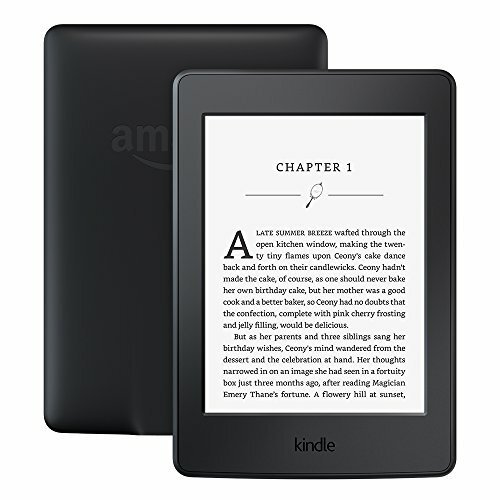 As a 7th generation Amazon Kindle Paperwhite e-book reader, it sits six inches high with a premium 300 PPI high-resolution display. As a result, from the time you download a book to the time you begin reading it, you are going to have a flawless experience. You can buy it in black or white to suit your unique style, then enjoy the built-in light that lets you read at night or during the day – regardless of what the natural light is doing. It also doesn’t produce any glare like a traditional tablet – a welcome addition if you usually get eye strain. It’s also affordable, comfortable to hold, and worth its competitive price tag. If you need to read and take notes at the same time, then you need more than a regular paperwhite Ebook reader, you need this Note E-Reader from BOOX. While you can use it for regular leisure reading activities, it’s also ideal for so much more. Take it to class, use it for research, or sit back and relax in a chair while you study with it as well. Its 10.3-inch screen makes it ideal for viewing US letter size documents, while also offering the option of double page setups for one side of notes and one of reading. If you need to save anything, you have 32 GB or room to do so. The technology in this paperwhite Ebook reader is also second to none. It features a premium Mobius Carta screen, as well as an electromagnetic touch control system and pen to go with it. Whether you’re drawing, reading, or writing, this e-reader will tick all the boxes. Sealing the deal is how comfortable it is to use. It won’t produce glare or reflections, and won’t flicker in the sunlight either. It’s clear to see this paperwhite Ebook reader is an excellent option for an academic person. If you don’t want to spend the earth on a paperwhite Ebook reader, but you still want to read a book in bed, then you may like to check out this Nook eBook Reader from Barnes and Noble. Even though it’s far more affordable than other brands on the market, you don’t have to sacrifice the reading quality. You may find it’s even better than your previous paperwhite Ebook reader. You get to benefit from 2 GB of storage space for all your favorite books, as well as WiFi compatibility. You can then connect it seamlessly to your router and browse to your heart’s content. While you do so, the battery lasts a long time, and the entire unit incorporates Best-Text and 6E ink display technology so you can read the text as clearly as possible. One of the most standout features, however, is the GlowLight built-in light. 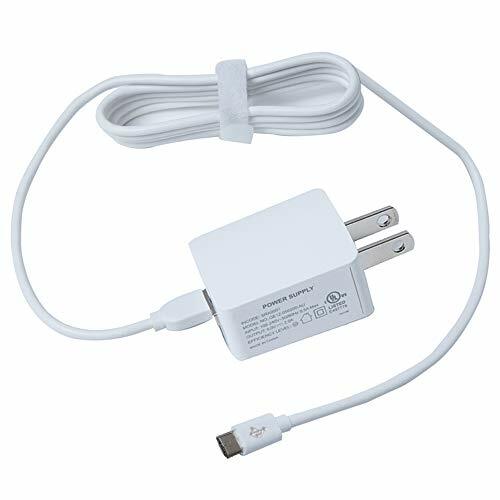 It enables you to use your paperwhite Ebook reader at any time of the day or night, turning on GlowLight when you can no longer see the writing. The only downside of this is that it shows up any scratch and imperfection once the light is on. Aside from the power button of this paperwhite Ebook reader seeming a little loose, there’s everything to love about this electronic device. If you aren’t a fan of paperback books and want to try out an E-Reader, this is an excellent place to start. Likebook is the crème de la crème of paperwhite Ebook readers so far. It comes with a 7.8-inch Carta touchscreen display, a lightning-fast 8-core processor, and Android 6.0 so you can be sure of its speed and functionality. When it comes to technology and speed, this paperwhite Ebook reader has it covered. You will also enjoy the resolution of the screen at 300 DPI, as well as the in-built light that you can adjust to being warm or cold – depending on your preference. The storage within this paperwhite Ebook reader is something to rave about too. You have 16 GB to fill with books and even audio books also. Because there is a audio function, there’s no limit to what you can read and listen to online. Take advantage of WiFi, Bluetooth, and much other fun and convenient advancements this paperwhite Ebook reader has. The paperwhite Ebook reader market is incredible, with many lightning-fast e-Readers to transport you to a magical world of reading. While this paperwhite Ebook reader from Kobo keeps up with the big boys regarding functionality, it lets itself down with speed. No matter what you do with this paperwhite Ebook reader, it does it slowly with lag and buggy firmware holding it back. It can even get to the point where other standout features don’t matter as much because the negatives are holding it back. Poor points aside, there are going to be a few things that may have you on the fence about buying this reader. It has a sleek black color scheme, water resistance, and a generous 6.8-inch screen which is perfect for reading. You can also connect it to your WiFi internet while benefiting from the 4GB of storage, dustproof design, and glare-free convenience. 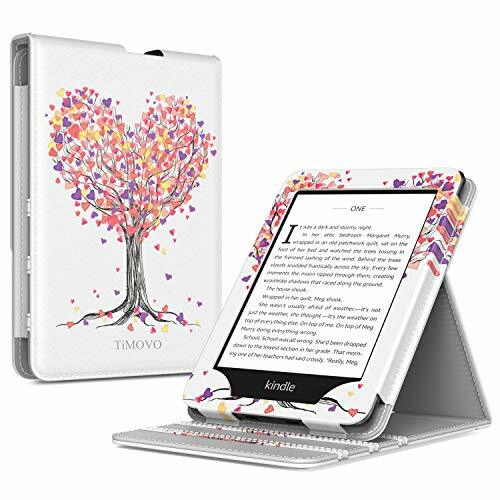 So, while there are a few things you may not like about this paperwhite Ebook reader, there is also plenty to love. If you’re in the market for a new paperwhite Ebook reader, you may see this one and think it’s on par with Kindle. Unfortunately, it’s not. Of course, there are many things to like about it, but the consensus is that it’s not going to be your favorite book viewing device. Instead, it will be more suited to reading PDFs. You may not see the value in purchasing one electronic device for this purpose alone, however. 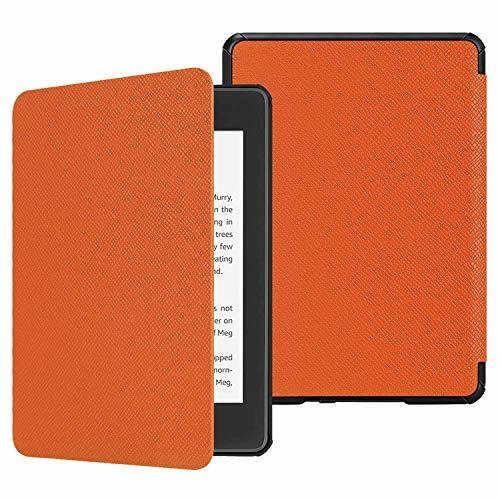 Its sleek color scheme will give it some form of saving grace, as will the broad file type compatibility and its SD memory card slot to include more books. It will also work with the CONNECT eBook store while running MP3 and AAC files as well. It’s affordable, has a lot of buttons, and is comfortable to hold. However, once you begin using it, you may not find it to be all that helpful. It’s slow and laggy with an ugly interface, and the page turning functions are slow too. It can take you far longer to read a book than it would on any other device. It also has no internet connectivity option at all. As a result, you can’t link to reputable eBook stores to get your fix. It doesn’t seem like it’s all that convenient to own at all. What’s more, if you decide to use it for PDF viewing, the PDFs show up small and are clunky to get to work correctly. It may have a use for many people, but for using as a paperwhite Ebook reader, it’s a less likely candidate. Real books will always have a special place in an avid reader’s heart, but you can’t help but enjoy the convenience that comes with a paperwhite Ebook reader. However, before you go ahead and spend a lot of your hard-earned money, you need to make sure you choose the right one. After all, they are not all the same. Consider these points. Every paperwhite Ebook reader on the market is different, with some featuring more advancements than others. Take a moment to read through the feature list then compare it to the price tag. The best paperwhite Ebook reader is going to be one that’s jam-packed full of features but doesn’t cost the earth. Better processing power should be the standout feature that helps your paperwhite Ebook reader to run quicker. You want your paperwhite Ebook reader to be as comfortable to hold as a traditional book, but they aren’t all like that. The most comfortable one has rounded edges and is lightweight and thin. The lighter it is, the more comfortable it will be to hold and operate. A paperwhite Ebook reader is closer to a traditional book than you think – in the respect that the first models to hit the market had no backlighting. You still had to use a clip-on light or a bedside lamp. Now, however, you get the benefit of glare and reflection-free e-readers but with inbuilt lighting as well. On some ebook readers, you can adjust the brightness.